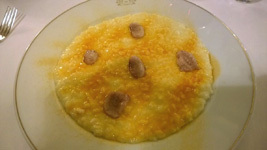 Piedmont is known for their white truffles from Alba and nebbiolo grape wines. 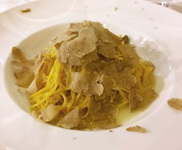 Some of the signature dishes include their tarjarin egg pasta, vitello tonato, and white truffles when in season. 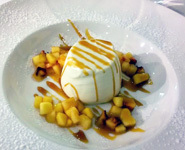 Piazza Duomo is not only Alba's best restaurant but is one of the top 50 restaurants in the world. 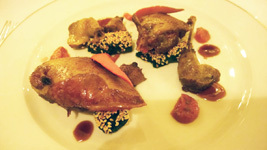 On the 14th of November 2012 Enrico Crippa was awarded 3 Michelin stars. Colorful, vibrant and full of flavors best exemplifies this top rated restaurant. Vegetable garden on the premises. Restaurant will be close 2 weeks in August and 3 weeks between December and January. Website ---- Menu. 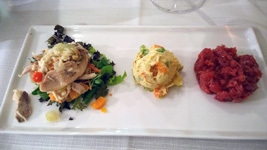 This 1 star Michelin is located in the capitol of Piedmont --Turin, which is a city that has some of the beautiful plazas... Del Cambio opened in 1757 is one of the oldest restaurants in Italy. It is also one of the most elegant, historic restaurants in Italy and has recently been meticulously restored to its former glory -- but now also has the food to match the beauty of the restaurant interior with newly appointed Chef Matteo Baronetto at the helm. 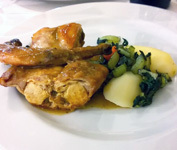 EnoClub has become one of the hot spots to eat in Alba. You will find excellent food in an unpretentious setting. Their is h and made tajarin noodles with white truffles They have an excellent ricotta cheesecake. 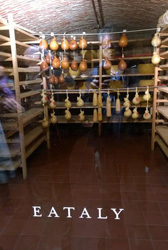 Located just across Piazza Savona from Osteria dell Arco -- similarly great wine deals. Caffè Umberto is the informal restaurant of the EnoClub --very similar to a bistrot, offering cosmopolitan cuisine made with all the uniqueness of the Old Continent’s Latin culinary culture: seasonal vegetables, pasta made with slow-risen dough, lean meats and fresh-caught fish. What are the best tapas bars in NYC?